An illustration essay is a form of writing which encloses examples to express an idea. This type of essay requires you to provide specific details or patterns to clarify or justify the point you made. No matter how abstract your idea is, it will become more comprehensible when you provide examples to support your main point. Its purpose is to elucidate a notion, thought, situation, or concept. In other words, it illustrates or demonstrates an idea or something related to the topic through the use of examples. And to make it easier for you, here are the tips on how to write an illustration essay. Writing an illustrative essay is the same as with the other types of writing. It includes an introduction which states your thesis, a body which provides examples to prove your thesis, and a conclusion which restates the thesis. Always know your target audience when you write an illustration paper and make it appealing to it. Use sayings, proverbs, phrases, analogies, or words that will be easily understood and will hook your readers. When you choose a topic for your illustration paper, keep in mind that your idea should be an illustrative fact. When making a thesis statement for this type of essay, it shouldn’t sound like you’re arguing or taking a stand but it should be like an occurrence that exists. Before starting to write, brainstorm for some good examples then pick your best choices. When choosing an example to insert in your illustration paper, make sure it will make your point clear. It doesn’t have to be a long narrative as long as it clarifies and proves your point. You can also use other resources such as newspaper articles, magazines, and books. Though, an illustration essay comprises a series of examples, it shouldn’t look like a list of examples. So, focus on your transition and avoid repeating the phrase “for example” when you jump from point to point. In illustrating something, make sure that it will effectively engage the senses of your readers. So when you demonstrate, provide details on the structure, form, feeling, smell, shape, and appearance. You have to be assertive but always keep your tone friendly. Express your point freely but not in an imposing way. And as much as possible, make it easy to read and understand. The outline of an illustration essay is easy once you have chosen your topic and have your main ideas recorded. As stated above, a good illustrative essay starts with an interesting topic, a well-written introduction to grab the audience’s attention, a body with very descriptive examples and a conclusion that summarizes the main points and has a solution to a problem. Introduction – This is where you write the main idea for your chosen topic and state the main point of your essay. It is always best to start with a thesis statement and indicate your position on it. Body – This is the longest part of your illustrative essay. Here you write the various points you will use to explain the topic and provide several descriptive examples to ensure your reader understands the points well. Conclusion – You should restate your illustration essay thesis here and provide a summary of the main points as well as the conclusions you have made based on these points. Illustration essay topics are wide and varied. Here are some examples of illustrative essay topics you can review for your next assignment. How can a basketball coach turn a losing team into a winning one? What constitutes “good customer service”? Explain what is required for a teacher to write a lesson plan. Explain the differences between a leader and a boss. What qualities or characteristics are needed for someone to be a good leader? Describe how a natural disaster can impact a community. How can a reduction in the age of consent impact teen pregnancy? Explain the disadvantages of advances in science and technology. Describe ways or tactics to reduce the incidences of illegal abortions. Is global warming a problem? Why or why not? Explain tactics used to win an election. Will decriminalizing marijuana lead to less or more use? Explain how illegal immigrants can contribute positively to society. Mainstream media is sometimes too graphic and is doing more harm than good. What are your thoughts? Describe the impact of an injury on a professional athlete. What are the differences between cardio exercises and strength training? How is a mascot important to marketing of any kids’ product? Describe techniques that can be used to relieve stress. What are the challenges that may be experienced by an international student at your school? Explain how you would choose your college major and minor. Describe how you can raise a child to have a high self-esteem. Discuss the impact of free healthcare on the economy. Illustrate the difference between good eating habits and bad ones. Explain techniques that can be used for effective studying. Describe how you plan a vow renewal. The beauty industry has led young girls to have the wrong idea of true beauty. Do you agree? Why or why not? Describe a hobby and how it can be used to make some extra money. Explain how library books are catalogued. There are no bad foods, just bad diets. Explain why you agree or disagree. Alternative medicine is the future. Explain why you agree or disagree with this statement. Explain how you can make money by trading stocks. Describe your ideal family vacation. Explain how you would teach someone to ride a bicycle. Describe how the gender pay gap can impact society. Should the age of consent be the same as the legal drinking age? Why or why not? Explain how playing sports can help you achieve academically. Describe a day in the life of a stay at home mom and determine what she should be paid if she were to earn a salary for that job. Discuss the impact of providing free education up to the tertiary level on a country’s economy. Describe how you would choose college you want to attend. Stem cell research is vital to advancement in medicine and treatment of many diseases and conditions. Discuss reasons why you agree or disagree with this. Print media is not dead and still has its place. Do you agree? Why or why not? Will banning smoking in public areas reduce the incidences of lung cancer? Describe jobs suitable for a college student to earn some extra cash. In choosing a career path, should you follow passion or practicality? An illustration essay gives you a chance to pick an aspect of your life and analyze it by giving clear and specific examples. Such personal aspect can either be a special person, a significant place, or an important object. 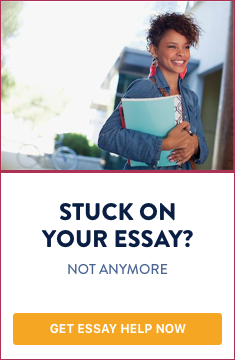 Among other types of essays, it is one of the easiest to write. It is the same as showing a verbal image to illustrate your point. However, if you still find it confusing, just remember the tips outlined above on how to write an illustration essay.